Records were broken on the first day of 98five’s Vote for Hope June Appeal Week. Brekky with Kirste and Corey put the call out to listeners at 6am to help us reach $50,000 by the end of the Drive show. 98five is a listener-supported station with more than half of operational costs covered by generous supporters. This year 98five needs $405,000 to continue to broadcast our positive message of hope throughout WA. But the 98five listening family essentially responded with a ‘too easy’ and smashed the 50K Friday challenge by 2pm. Drive with Jeziel ended on a massive $69,109. The previous highest Day One June Appeal Week record was $48,000. But as the Lunch Wrap media team pointed out, the day wasn’t all about numbers. 98five’s Friday June Appeal Week launch also featured the launch of Drop It and Dance, requiring the 98five family to don their best (or most colourful) activewear and drop whatever they were doing whenever they heard Justin Timberlake’s new track, Can’t Stop the Feeling. The family are planning to #DropITandDance all week, until they hit their target next Thursday 30 June, and are encouraging 98five listeners to jump on board the dance party train. 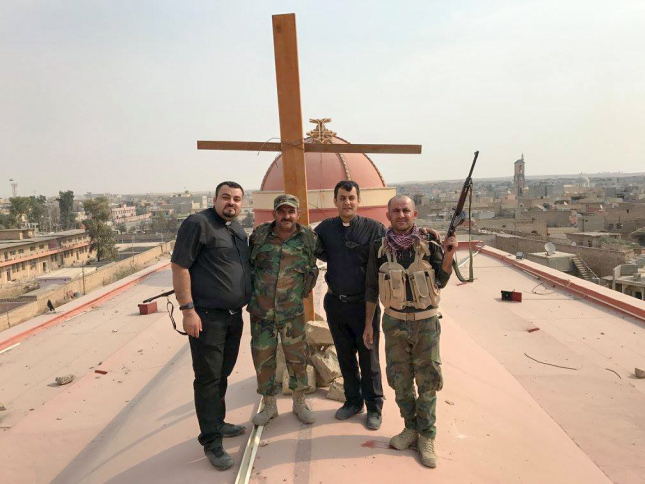 Father Ammar and soldiers with the newly erected cross on Tahira church! Keep checking 98five.com to see the Senate Seats Tally fill up and catch all of the in-Studio action on our live webcams, 6am to 6pm, Friday 24 June to Thursday 30 June. You can also follow us on Facebook, Instagram, Twitter and Snapchat (add 98five).